Sarah Nader- snader@shawmedia.com Huntley's Amanze Egekeze shoots during the fourth quarter of Friday's FVC crossover game against Grayslake Central February 28, 2014 in Grayslake. 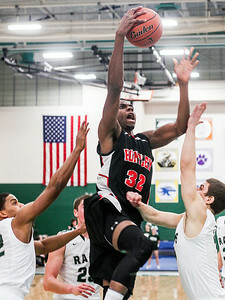 Huntley defeated Grayslake Central, 55-45. 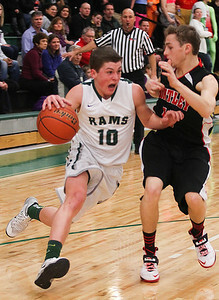 Sarah Nader- snader@shawmedia.com Grayslake Central's Jacob Vargo guards Huntley's Brad Spoeth while he dibbles towards the basket during the third quarter of Friday's FVC crossover game February 28, 2014 in Grayslake. 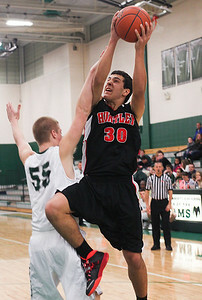 Huntley defeated Grayslake Central, 55-45. Sarah Nader- snader@shawmedia.com Grayslake Central's Malcolm Reed (left) guards Huntley's Zach Gormey while he shoots during the third quarter of Friday's FVC crossover game February 28, 2014 in Grayslake. 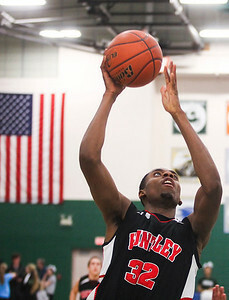 Huntley defeated Grayslake Central, 55-45. Sarah Nader- snader@shawmedia.com Grayslake Central's Jack Beckman guards Huntley's Riley Wicks during the third quarter of Friday's FVC crossover game February 28, 2014 in Grayslake. Huntley defeated Grayslake Central, 55-45. Sarah Nader- snader@shawmedia.com Huntley's Amanze Egekeze shoots during the third quarter of Friday's FVC crossover game against Grayslake Central February 28, 2014 in Grayslake. 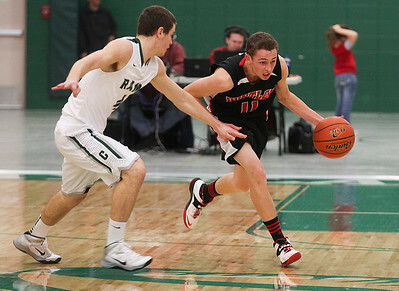 Huntley defeated Grayslake Central, 55-45. Sarah Nader- snader@shawmedia.com Huntley's Zach Gormey fights for an opening during the third quarter of Friday's FVC crossover game against Grayslake Central February 28, 2014 in Grayslake. 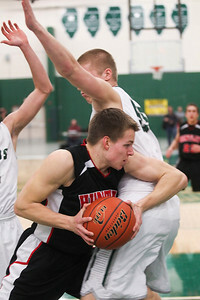 Huntley defeated Grayslake Central, 55-45. Sarah Nader- snader@shawmedia.com Grayslake Central's Jory Mudd (left) is guarded by Huntley' s Brad Spoeth while he brings the ball towards the basket during the first quarter of Friday's FVC crossover game February 28, 2014 in Grayslake. Huntley defeated Grayslake Central, 55-45. Sarah Nader- snader@shawmedia.com Grayslake Central's Malcolm Reed shoots during the first quarter of Friday's FVC crossover game against Huntley February 28, 2014 in Grayslake. Huntley defeated Grayslake Central, 55-45. 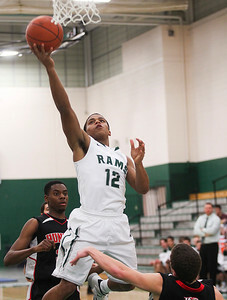 Grayslake Central's Malcolm Reed shoots during the first quarter of Friday's FVC crossover game against Huntley February 28, 2014 in Grayslake. 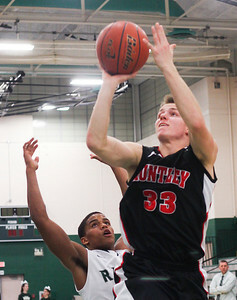 Huntley defeated Grayslake Central, 55-45.